Customers using Seabuck 7 backyard chicken feed additive report health benefits for their chickens AND improvements in the quality, size, and number of eggs produced! This 99.9% natural blend is a complete source of Omega 3, 6, 9 and rare Omega 7. Using Seabuck as a nutritional supplement can improve the condition of your flock's feathers, skin, waddles, and combs, thus increasing your flock's health and resistance to illness. Seabuck customers have reported significant increases in laying and lab tests show increases in the amount of Omega acids in the eggs, too. 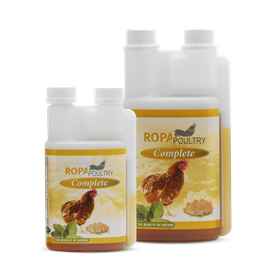 Especially if your flock doesn't have all-day access to ranging on green forage, this supplement will help your hens produce thicker, darker yolks indicative of the more nutritious eggs laid by hens with access to green pasture. Directions for use: Sprinkle on your feed once a day. 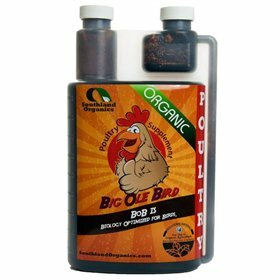 Use 1/2 ounce for under 10 chickens, 1 ounce for 10-20 chickens, and add 1/2 ounce per 10 additional chickens. 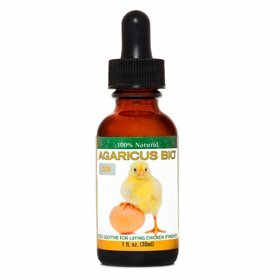 A 32 ounce bottle will support a small flock of 6 or so birds for up to three months, or a flock of 20 for about a month.